EA has been very quiet about Star Wars: Battlefront since their reveal of the project at E3 in 2013. While news on the game has been scarce, new news has finally surfaced. 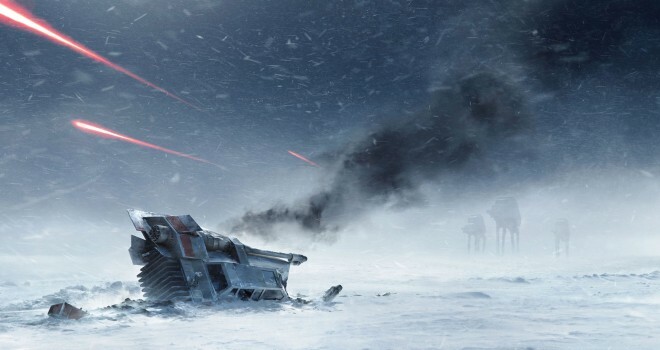 EA has confirmed that Star Wars: Battlefront will be releasing during the holiday season of 2015 but that is not all. In an investor call, EA CEO Andrew Wilson has confirmed that Star Wars: Battlefront will be a first-person-shooter. Which is a different perspective from the previous installments in the series. EA’s plan is to be able to have a major first-person shooter every year. The next Battlefield will not be releasing until 2016. While it is great to finally receive news on Battlefront, as a longtime fan of the series, I cannot help but feel disappointed. One of my fears with Star Wars: Battlefront was the possibility that a perspective change would be made. It was something I was worried about the moment I heard that EA and Dice were taking on the project. While I don’t have a problem with the genre, I do feel like there is an oversaturation of first-person shooters on the market and I was hoping the Battlefront was going to remain true to the previous installments. While the door is still open for a third-person perspective option to be included, it is not going to be the same. As the game moves into first-person, the gameplay is most likely going to stray from the previous installments as well. At this point, I have no reason to believe that Battlefront is going to be anything more than Battlefield with a Star Wars skin. I plan on keeping that mindset until EA shows us some actual gameplay footage to prove otherwise. It is disappointing as a longtime fan because this was a highly anticipated game for me, as I have been waiting since Star Wars: Battlefront 2 for a third installment in the franchise. As it stands now, my skepticism is largely outweighing any form of excitement I have for this game.